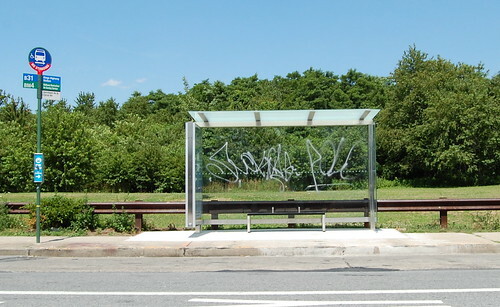 Within days of being complete the Cryus ave bus shelter has been disgraced. We all knew that was coming!! Any bets on when the glass get broken????? I saw a similarly disheartening thing on one that just went up somewhere else a day or two ago, but either I’ve been traveling around Brooklyn and Queens so much the past couple of days, I’ve forgotten where or I’ve tried to put it out of my memory. maybe the $500 reward will stop this from happening.